Despite my love of food in this city, there is one thing I typically never do: wait in line. In heels. I haven’t even had a Cronut from Dominique Ansel due to this fact. 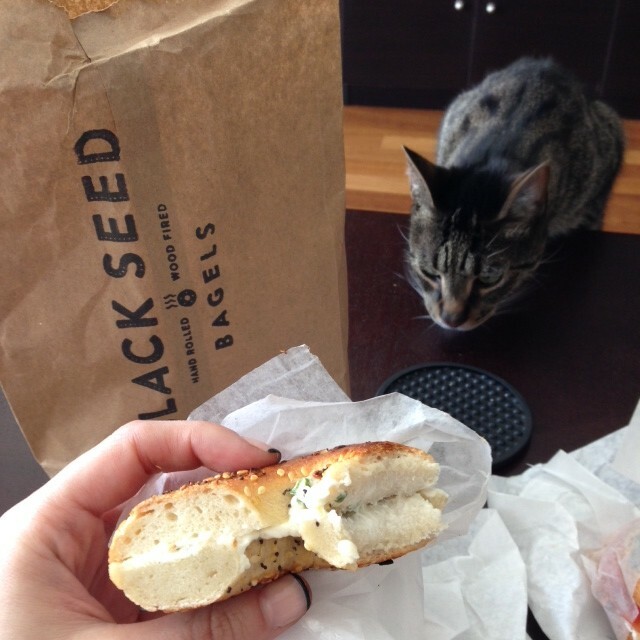 Yet, bagels hold a special place in my heart, so in honor of Black Seed Bagel’s opening weekend, I made the decision that I was going to tough it out. The weather is no longer miserable, and I was also pretty hungover, so there was never a more perfect time for me to keep my eyes on the prize (aka mass quantities of food). I become something of a human garbage disposal in that state. But I digress. Not the wisest choice of footwear for a 45 min wait. 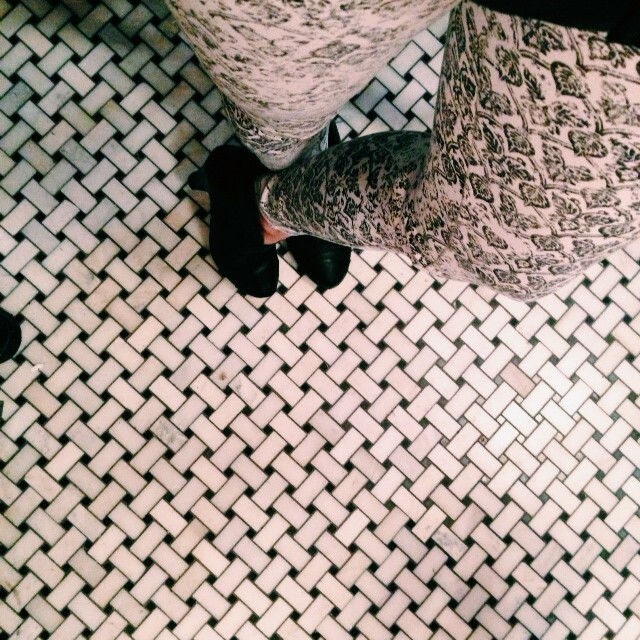 But pretty tiles! Lacks mayo, doesnt lack delicious. That last bagel was Joel Tietolman’s recommendation and he is one of the bagel masters behind this Montreal-based operation. 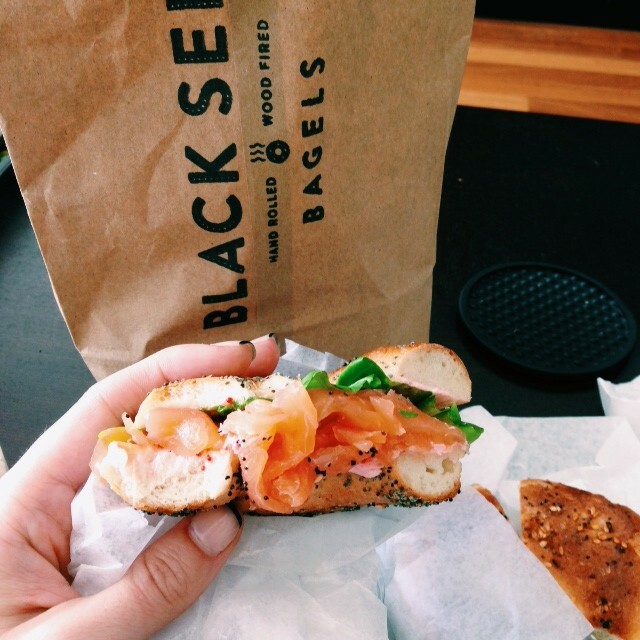 For those of you who don’t know – quick fact – Black Seed Bagels stems from Mile End Deli, the Canadian-based deli with some of the most amazing smoked meat sandwiches EVER. Again…I digress. 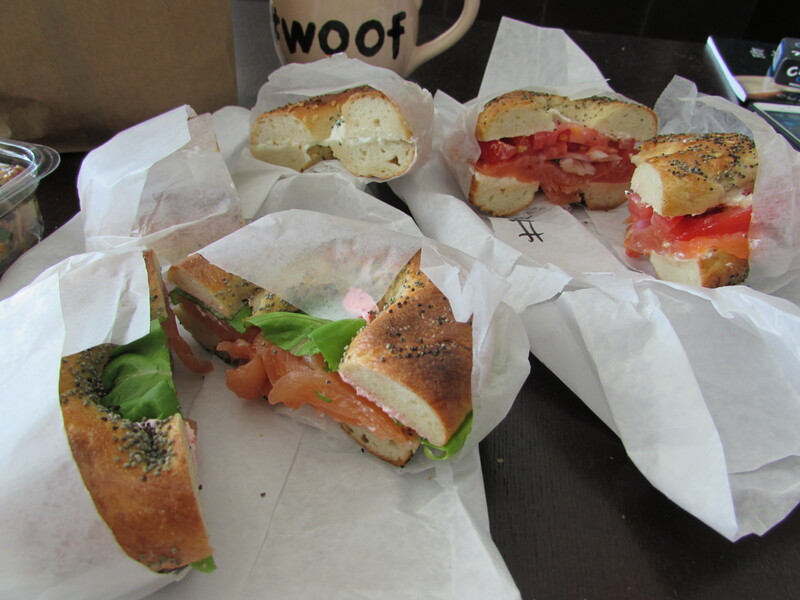 Taste: Just straight up – these bagels would taste good with nothing on them. Boiled in water that has a splash of honey in it, then hand rolled and wood-fired, they are slightly sweet, perfectly chewy, not too dense, and wonderfully crispy on the outside. Size: Kind of small, in my honest opinion. Smaller than my hand (and I have small hands) and thinner. I actually enjoy the thinner aspect, because some of the NYC bagels here look like they have been pumped full of HGH and it scares me a little. I’d say if you’re a big eater, get two. Or in my case…three…. Favorite: Toss up but I honestly might go with the one Joel suggested – the Tobiko cream cheese was AWESOME and I was not expecting that. It was a perfect combination with the salmon. That said, the salmon, tomato, horseradish cream cheese concoction was no slouch either. It bulked up the bagel a bit and was so salty, briny, and delicious. I’m normally not a big fan of this sandwich, but I might be converting. 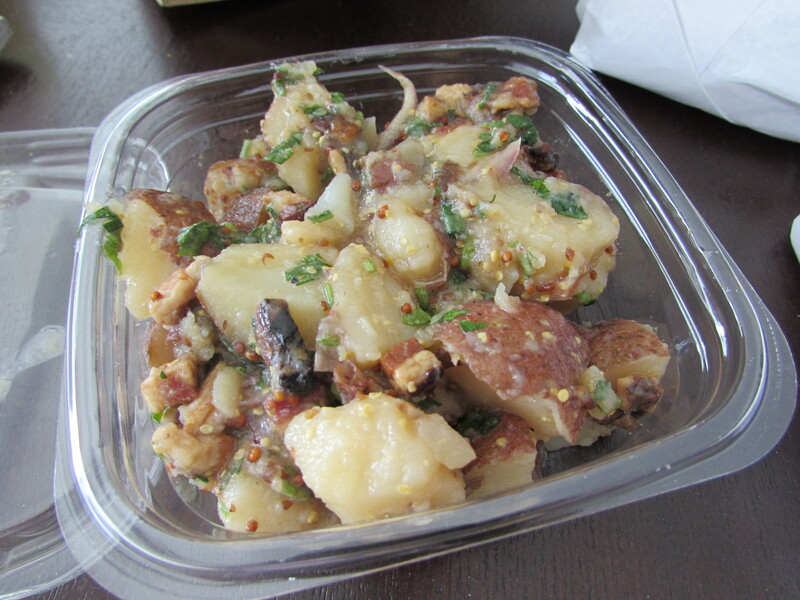 Least Favorite: Obviously by process of elimination, the Everything bagel with scallion CC. I know most places put WAY too much cream cheese on their bagels, but this was not enough. Sorry. 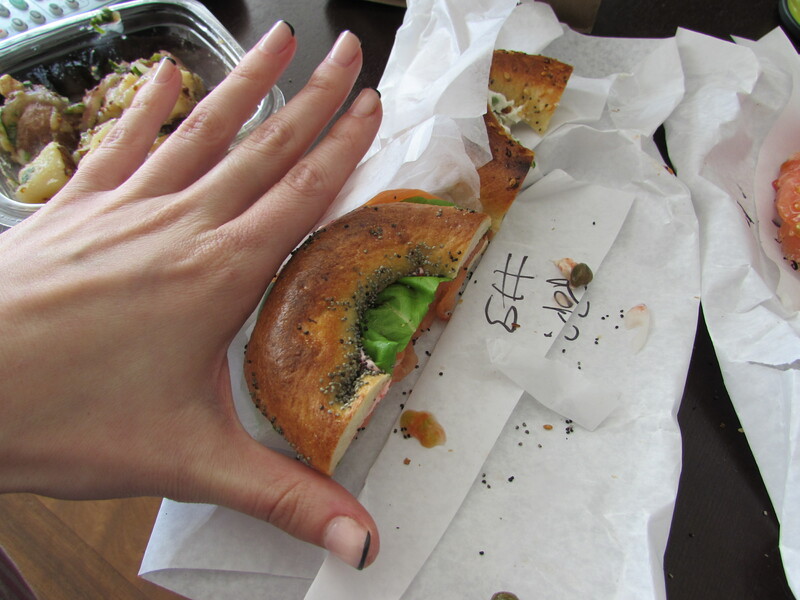 I need a nice, sizable SHMEAR and this was way too little for me; even for a relatively small bagel, it could have used another swipe of the stuff. Even Bobo was a bit skeptical..
Tavern on the Green is Back!